Anne Hirondelle is a nationally recognized ceramic artist who was raised in Salem, Oregon and educated at the University of Puget Sound and the University of Washington, where she studied with the legendary ceramic artist and teacher Robert Sperry. 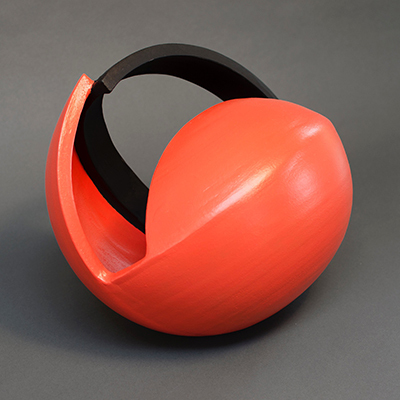 Throughout her long and prolific career, Hirondelle has pushed the boundaries of the ceramic medium, making functional vessels and abstract sculptures that are warmly alive and visually engaging. 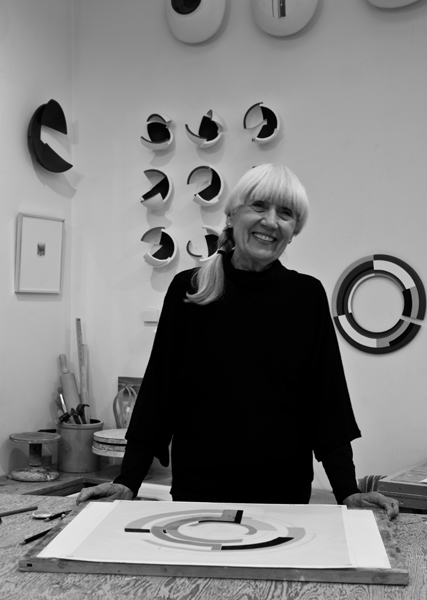 Over the years, Anne has been featured in numerous solo and group exhibitions throughout the United States, and her ceramics can be found in a number of prestigious collections, including the Fine Arts Museums of San Francisco; the Los Angeles County Museum of Art; the Stanford Museum of Art; the Tacoma Art Museum; the White House Crafts Collection, and many others. She is the recipient of a National Endowment for the Arts Visual Arts Fellowship, awarded in 1988; she was a finalist for the Betty Bowen Award at the Seattle Art Museum in 2004; and she was honored with the Twining Humber Award for Lifetime Artistic Achievement in 2009. 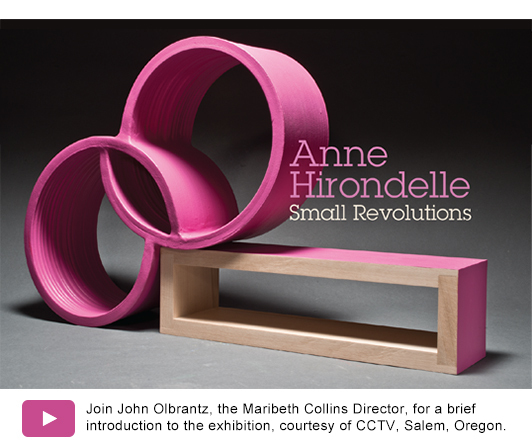 Sunday, February 12, 2017 at 2 p.m.
Sunday, February 12, 2017 at 3 - 5 p.m.
Anne Hirondelle: Small Revolutions has been made possible in part by general operating support grants from the City of Salem’s Transient Occupancy Tax funds and the Oregon Arts Commission.